Select 5 frames to test out for 5 days and Warby Parker will ship them to you for free! Shop Warby Parker for prescription and non-prescription eyewear. From reading glasses to beach shades, Warby Parker carries the newest eyewear trends at a price that's more than reasonable! 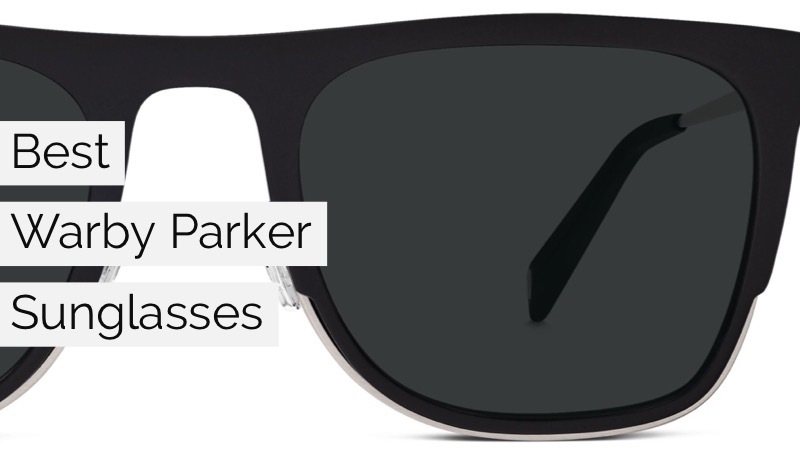 Both men and women can find great styles to try out at Warby Parker. Warby Parker was founded on a problem: eyeglasses are way too expensive. Today, Warby Parker has turned the eyewear market on its head. Prescription glasses start at just $95 at WarbyParker.com. Customers can also try out the free "Home Try-On" program, where Warby Parker will send you 5 different styles that you can try out for 5 days. At the end of the trial run, simply ship them back (all shipping is free) and order the glasses you like! Are Warby Parker glasses polarized? Warby Parker does offer polarized glasses but not all Warby Parker glasses are polarized. This is just one of many types of lenses carried by Warby Parker. You can not return your Warby Parker glasses in-store if you purchased them online. However, Warby Parker provides free return shipping for all returns of online orders. Does Warby Parker accept insurance? Warby Parker is an out-of-network provider, so while you can not directly use your insurance to pay for your glasses, you can apply for a reimbursement. For more information, visit the Warby Park insurance information page. Does Warby Parker accept PayPal? No. Warby Parker does not accept PayPal or other electronic forms of payment at this time. You can pay for Warby Parker orders using any major credit card. Does Warby Parker accept returns? Yes. All purchases are covered by a 30-day no questions asked return policy. Returns can be issued via refund or exchange. Does Warby Parker do bifocals? No. Warby Parker does not sell bifocals. However, your prescription can be filled as progressives or single-vision. Please visit the Warby Parker help section for more information. Does Warby Parker do eye exams? Yes. Certain Warby Parker locations do perform eye exams. Contact your local Warby Parker retailer in advance to see if they offer eye exams. Does Warby Parker do transition lenses? Warby Parker offers light-responsive lenses starting at $195. These lenses respond to UV rays and won't go dark indoors like traditional transition lenses do! Does Warby Parker have a customer service phone number? You can call Warby Parker customer service at (888) 392-7297, Monday through Friday, 9am-9pm ET. Does Warby Parker have any physical locations? Yes. Warby Parker has physical locations around the US. Find a Warby Parker location near you! Does Warby Parker make reading glasses? Yes. Warby Parker offers reading glasses, otherwise known as "single-vision lenses". Does Warby Parker offer a warranty? All Warby Parker glasses are covered by a 1 year, no-scratch guarantee. Scratched lenses can be replaced for free within that timeframe. Does Warby Parker have a credit card? No. Warby Parker does not offer any financing. Does Warby Parker ship internationally? Warby Parker offers free shipping to Puerto Rico, Guam, the US Virgin Islands and the United States. International shipping to Canada is available at an extra charge. How do I know my size in Warby Parker? Warby Parker has general tips for sizing glasses to your face on their help page. We recommend visiting a Warby Parker location for professional help in sizing glasses to your face. How do I order Warby Parker? To order Warby Parker prescription glasses, you will need a valid eyeglass prescription and your pupillary distance. You can submit your information to prescriptions@warbyparker.com. Please refer to the Warby Parker help page for more information. How much do Warby Parker glasses cost? Warby Parker prescription glasses start at $95 and raise in price based on lens type. Are you happy with the Warby Parker offers on this page?